Dirty Dangle Hockey: Shane Doan Wins.... Mantracker! 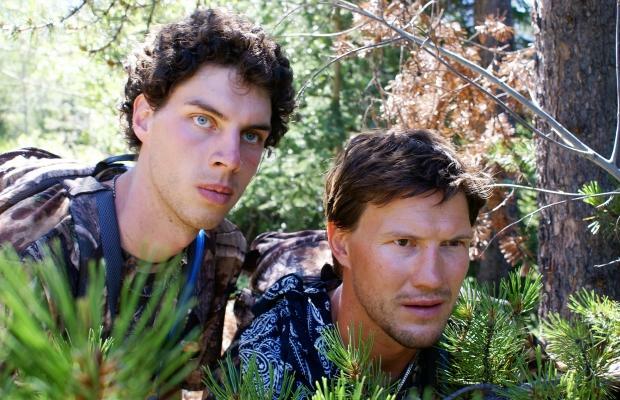 In case you missed it, Shane Doan and his brother Brook competed on the Outdoor Life Network's Mantracker last night. The Doan brothers were impressive, unlike the number of hockey puns used, however there were no real highlights to announce about their performance - which was consistent just like Shane's NHL career. In the end, Doaner showed his off ice leadership skills by refusing to leave his brother behind, and was able to help Brook win his version of the Stanley Cup. As nice as this brotherly bond was to watch, we couldn't help but think about how other NHLers would fair on the show, and who they might be partnered up with. Zdeno Chara and Tyler Myers would not have a good showing - Mantracker would see these two giraffes above the treeline every time. 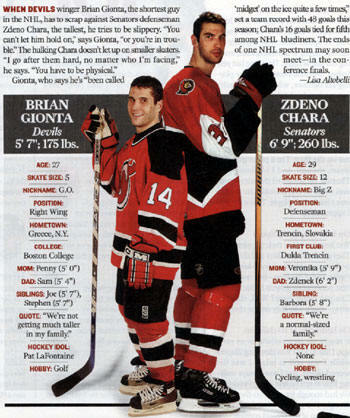 Brian Gionta and David Desharnais would do very well - they would find a mole hole and use an underground tunnel system to get to the finish line. Ryan Getzlaf and Kevin Shattenkirk would be an odd match to see, but they would have to wear hats the entire time or else Mantracker would see the sun's glare off their bald spots. 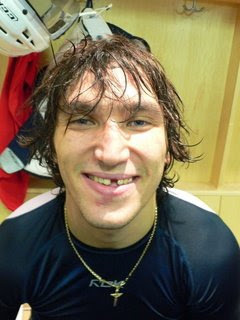 Alex Ovechkin's whereabouts on the show would be given away too to Mantracker due to the multiple reports of Sasquatch sightings in the area. Dan Ellis would be signed up for the show, but when it is revealed that there is no payment or prize awarded for competing, he tweets about how big of a rip off the show is and quits. Patrick Kane would get on the nerves of Jonathan Toews after spending the entire two days constantly talking about wanting to find a club to wheel some broads. What are some players or teams you would like to see? What show would you love to see an NHL player on? I missed it Damn. Will have to find out when they are re-airing it. 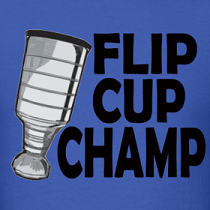 I watched the show and have become a even bigger fan of Doaner. I think they should have more pro athletes and celebritys on the show. It made it for interesting than usual. I'd like to see Tom Cruise. All his movies he has a running scene and he runs so funny. It would be hilarious watching him run the whole episode. I'd also like to see the Sedins in a episode and Marc,Jordan and Eric Staal in a episode. I would watch this show all the time if it was celebrities on it. Let's see the Jersey shore losers get caught after an hour. Finally caught the show last night.....too many hockey analogies!! One idea did come out of the show.....what if they did a show Shaq vs Mantracker......how would that turn out? love to see the staal bros on mantracker, eric. marc. jordan and jared. nice! !